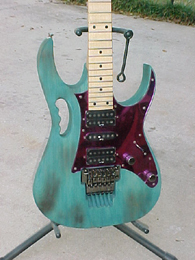 The much sought-after JEM BSB's finish is a simple yet classic look that requires very little equipment and cash to pull off! 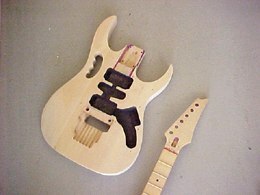 While this is a fairly easy finish, do not seal the wood on your body or you will end up sanding it down again! 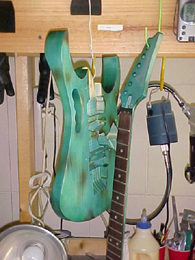 The first step is to is completely strip the guitar's body and headstock of any and all finish and sealer. 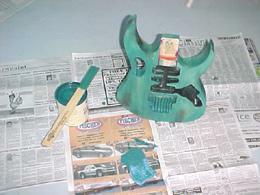 Using a common heat gun for removing paint, darken any area that shows promising figure in your wood. 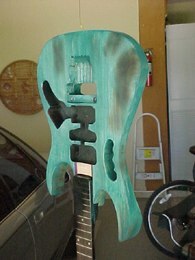 Take your time darkening the wood! It is easier to get good results going slowly than it is scorching the crap out of it! 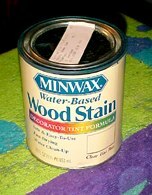 Pick up a quart of Minwax #33 Green Bayou water-based stain Clear Base and color codes 107-9 103-24 102-39 113-5. Time to stain, of course. For this I recommend using a damp sponge since you will have much better control over your stain. Whilst staining, use fine sandpaper (320-400 grit) to knock back any raised grain between coats. 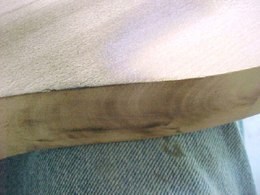 Be sure to even out the color as much as possible and don't sweat it if the stain refuses to take (residual sealer can do this) or is light or blotchy in some areas. 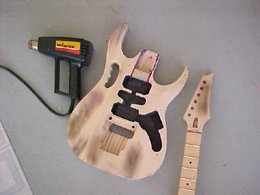 For spots such as that, just lightly hit the body with the heat gun to hide the problem and re-apply stain. 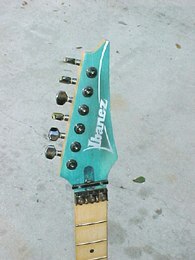 Before you re-assemble your guitar it would be a good idea to give it a protective matte clear top coat. 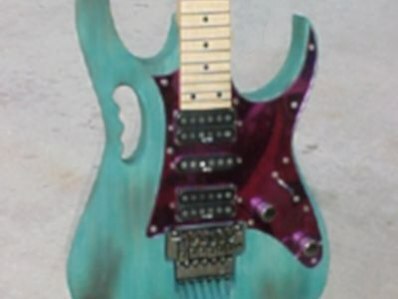 I used Krylon brand. This will dull any areas that appear shiny and also help protect the stain from rubbing off. 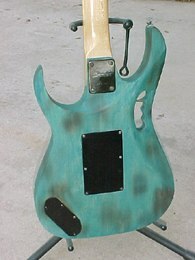 How to do a BSB/"Burnt Stained Blue" finish by Brian Calvert is licensed under a Creative Commons Attribution-NonCommercial-ShareAlike 4.0 International License.